If you didn’t have a chance to lock into unlimited data back before most carriers killed it off, then you are likely on a tiered data plan that forces you to constantly monitor your usage. With limits as low as 1GB on some carriers, there may be times when you reach your limit and need to toggle data off to save yourself from overages and penalty fees. Thankfully, the Android operating system has made this easier than ever to do with just a few quick steps. Even better, though, they allow you to set data limits, so that your phone will warn you as you approach your monthly data allotment. 1. 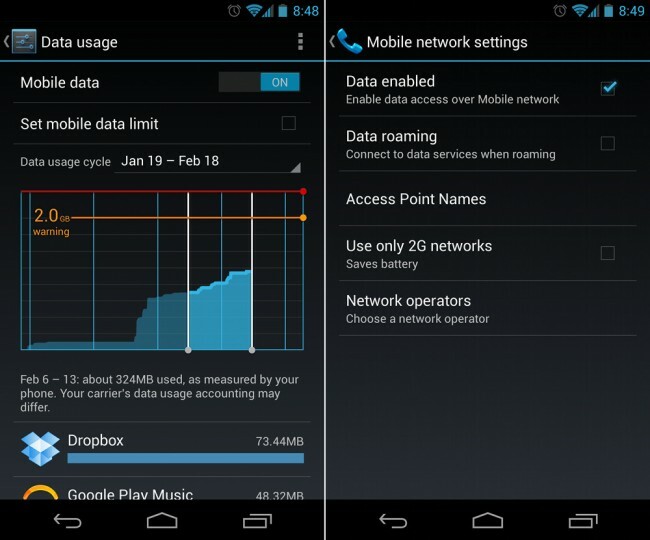 To turn off mobile data, pull down your notification bar and open up Settings. 4. From this screen, you can monitor the amount of data usage you have used over the month. 1. Setting a data limit should be done by anyone with a tiered data plan. 2. From that same settings screen, you can drag the orange warning bar to a limit of your choosing. 3. Your phone will warn you as you approach, with a notification shortcut to this screen. 4. Be sure to set you Data Usage Cycle to match-up to your carrier’s billing cycle.